Wow, how long have i neglected my blog again. Sorry guys, there is always something i have to settel around. It is quite late for my last month favorites, but i must share! 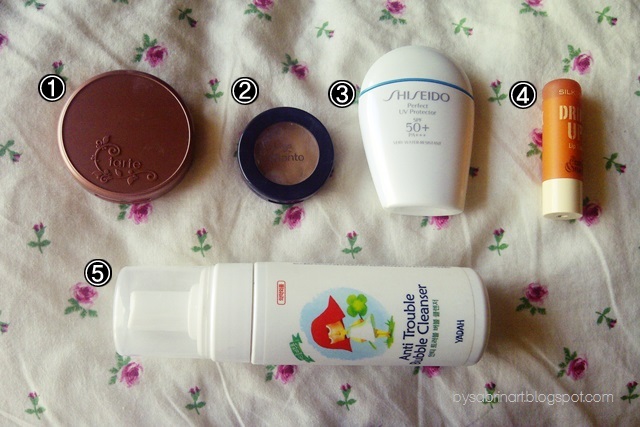 let's get on with what is in my April 2013 favorites! I know i know, everyone have been loving this but i just can stop myself from trying this! Yes I love this blush! I think it suits most skin tones and how naturally looks. I can use it to contour my cheeks as well as a blush. I not sure about the staying power. Many claims it does stay for 12 hours, but it does not seems happen to me. But i still love it! Its a must have blush for natural looking makeup lovers out there! This is not available in Malaysia tho, but you can find it in most local online shop! i got mine from Lilian from PBS for RM63+. It is very pigmented and easy to blend. This is actually my second purchase. The first purchase disappointing because i got an expired one. it was on sale and i did not check the date. it was hard as rock, i can blend it at all even i tried to melt it in the microwave. I tried the tester at Elianto counter and pretty much like the texture, so i bough a new one again. i checked it before i purchase it to ensure i did not get the expired ones. it is very creamy and moisturizing. but i do not recommend for oily skin types because this might be a lil too creamy for you. it cover nicely but does not last very long. but i really like how it is very easy to blend and not too cakey. This product were sent to me, and i pretty much loving it. You can read my review here. I love how it feels light on the skin and does not leave white cast on my face. I never ever had a lip balm that gives me a "lip gloss" effect! This one totally win my heart when i first applied it. It does not have this kinda waxy feeling on your lip as well as heavy. It glides smoothly and leaves my lip smooth shine. Not a fan of the scent actually although i love coffee. It also leaves my lip look naturally red. I don't know why and how because this lip balm in actually does not have color or tint on it. Some of you may know how I love my Bubble Cleanser from Yadah in my previous post. Now I'm loving the new one! The price is slightly higher than the Bubble Cleanser. This cleanser claims to fight any skin trouble like acne and spots. I got to admit that it does! It slightly minimize the appearance of my acne and spot. Very convenient and i love the foam and bubbles! You can purchase this at any Stage Cosmetic Outlets or at Zalora here. really? i bet you gonna love it! hehe... thank you dear! 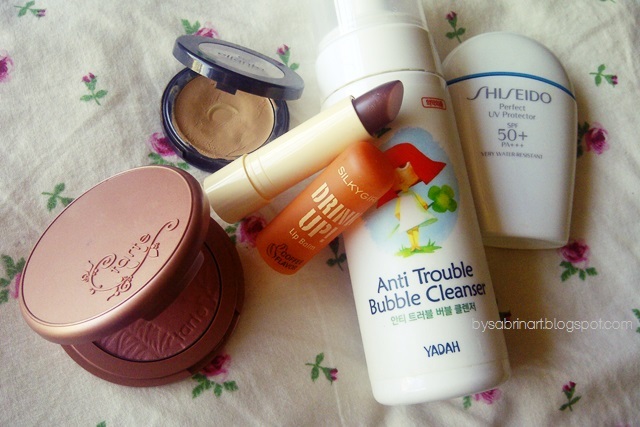 Omg I should really try out the yadah anti trouble bubble cleanser hehe but is it foam type of cleanser? nice list! the Silkygirl lip balm looks tempting! a nice lipbalm for a coffee addict like me!